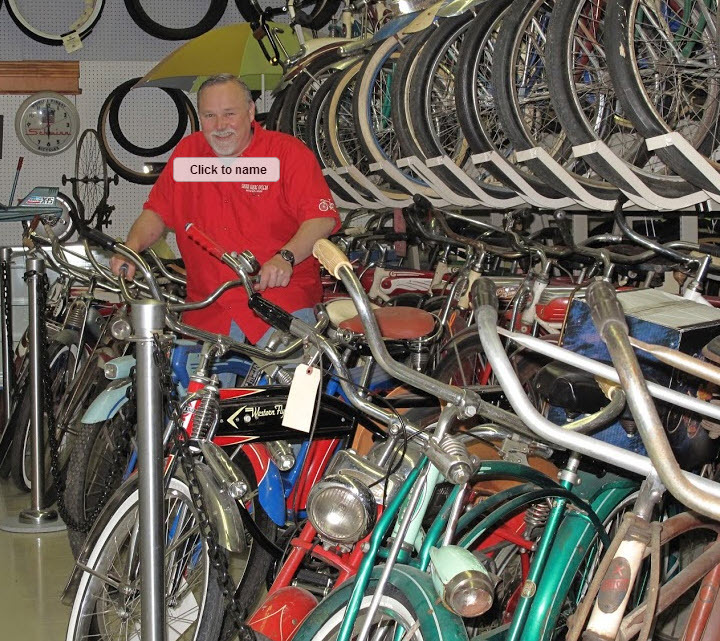 Welcome to The Bicycle Collector's Home Page! By way of background, I'm Scott Wilke and I have been bicycling for over 25 years now. And that's what got this all started. 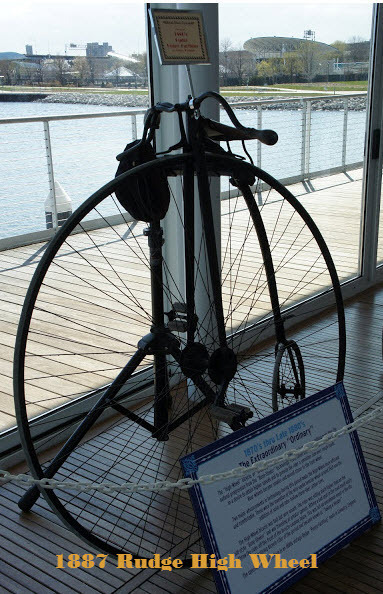 Riding bicycles, initially for health reasons, led to touring on bicycles which led to learning how to fix bicycles which led to collecting old bicycles. So here I am 25 years later with an extensive collection of classic American bicycles which were produced during the 19th and 20th centuries. 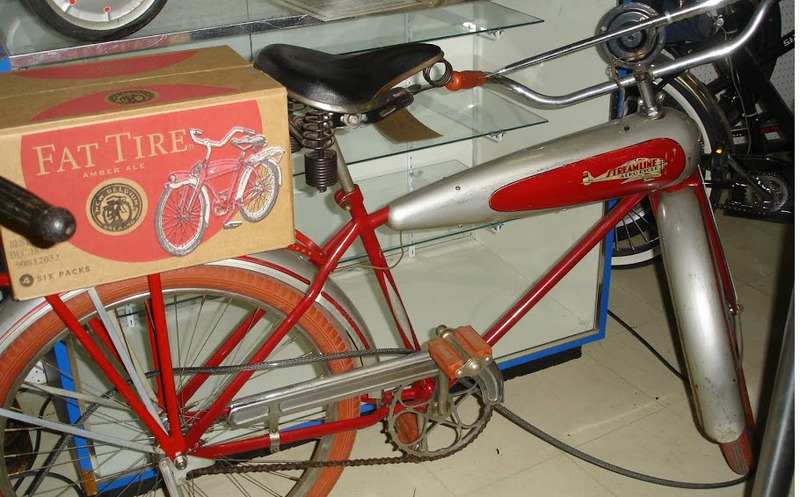 Initially the main focus of our collection was American-made bicycles manufactured between 1933 and the late 1950's. This is generally recognized as the "Balloon Tire" era in American bicycling history. 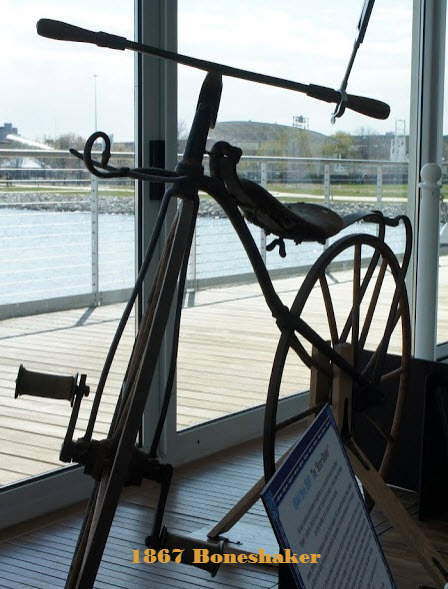 But over the years we have expanded the collection to include bicycles from the 1960's and 1970's In particular, our collection has many Schwinn Sting Rays and Krates from what is know as the "Muscle" bicycle era. 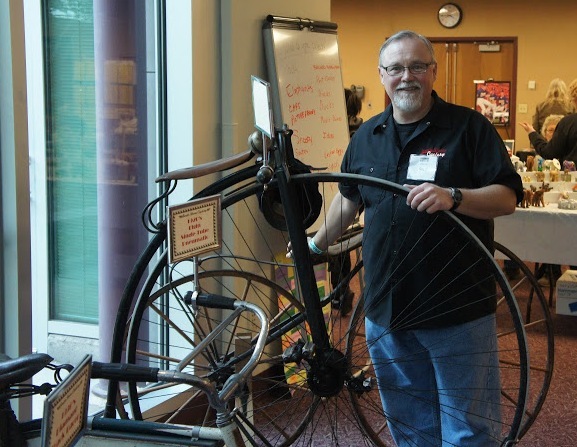 Recently (2012) we added a 1867 Boneshaker and a 1887 Rudge Ordinary (high-wheel) to the collection thus providing a specimen from every era of American bicycling history. 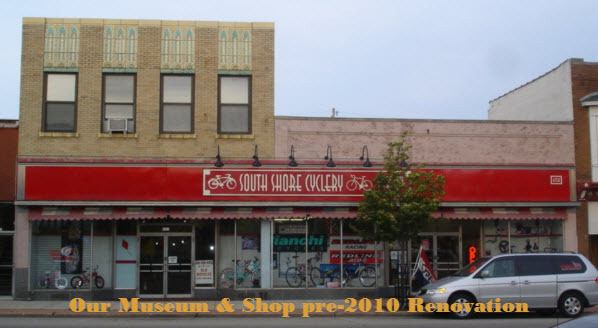 Our museum is inside the same building as South Shore Cyclery, located in Cudahy, Wisconsin a Southern suburb of Milwaukee. 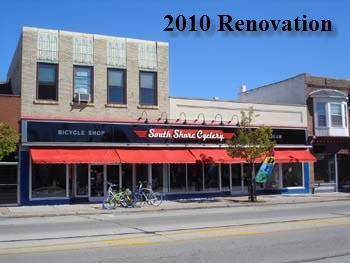 South Shore Cyclery is a modern bicycle shop selling new and used bicycles. They also perform repairs and have bicycling accessories and parts available too. We share floor space in a building originally built for Woolworth's "Five & Dime" during the mid 1920's. For those of you who can still remember Woolworth's, our building had the traditional red "banner" signage as well as art-deco architectural elements. For those of you who shopped at Woolworth's as a kid, you will no doubt have fond memories of the many notions, toys, and pet animals that they sold. 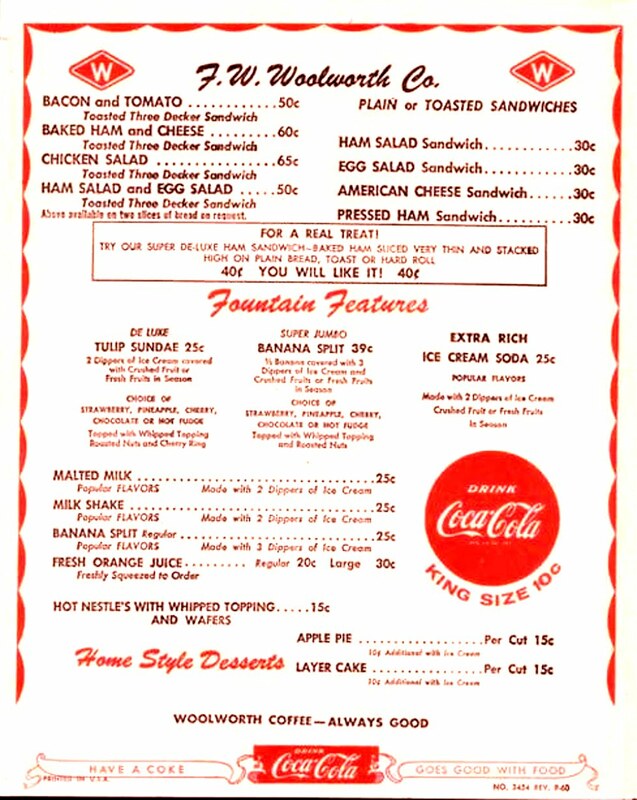 If you were lucky, your Mom might have bought you a meal at the famous Woolworth's lunch counter, where sandwiches, shakes, ice cream and soda were the order of the day. Our Woolworth's did have a lunch counter, but sadly was removed long ago. Sometimes I swear I can still hear the clanking of glasses and silverware, the hustle and bustle of shoppers moving up and down the aisles, the laughter of children as they discover a new diversion or toy. Hey is that burgers with onions I smell cooking on the grill? Following the Woolworth era, this building became a Drews Variety & Craft store, which specialized in craft supplies and other novelties. Sadly, after 70 years, in 2007 the last Drews store, located in Wauwatosa, Wisconsin, closed its doors for good. In 1984 our building was purchased by Jay Gordon and became the new home of Cudahy News and Hobby (now Greenfield News & Hobby) until April of 2002 when we bought the building. In short, this beautiful building was always a place filled with enjoyment and fun; a special place where a kid (and those who still think like kids) looked forward to visiting and shopping. That's what we still offer today. 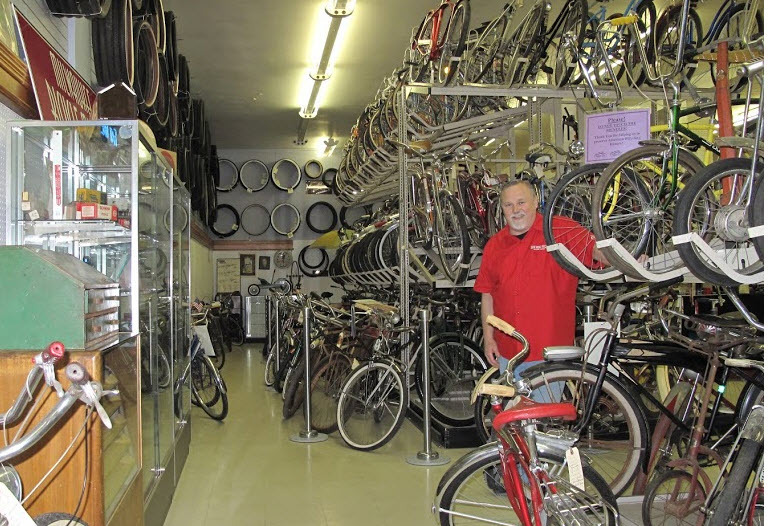 We are always looking for old bicycles, parts and literature, etc. Our goal is simple. 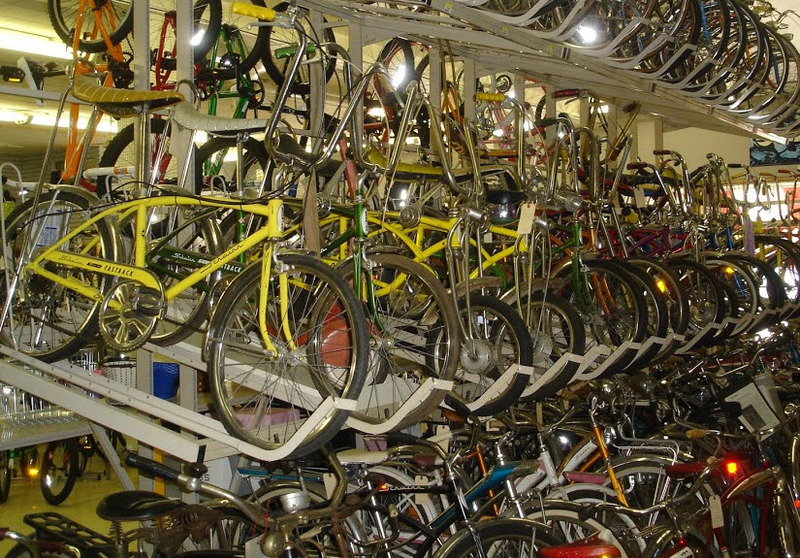 We are trying to help preserve what is left of America's bicycling heritage. Sadly many good specimens end up in the trash or the recycle bin. Most folks are not aware that there are a handful of us who can still make use of those old bicycles or their parts for restoration. So if you have anything of interest, please contact me. 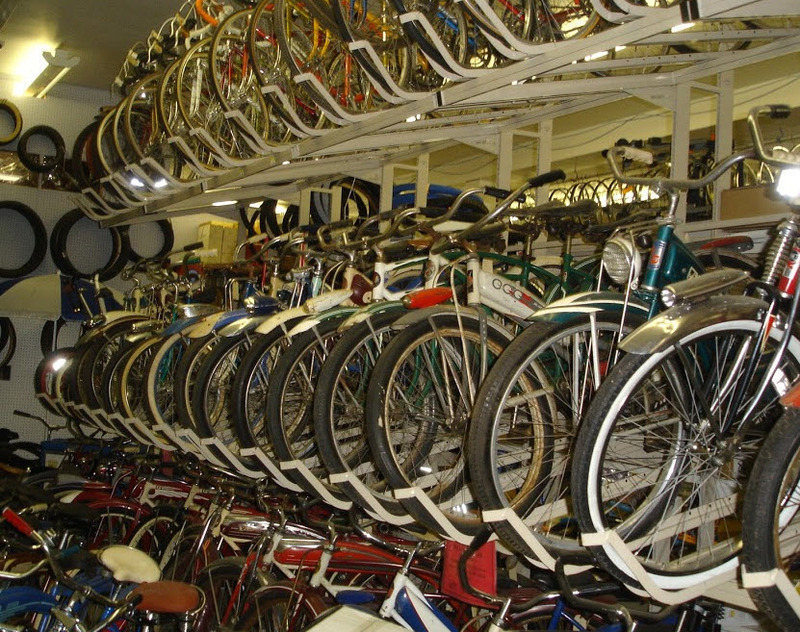 We are always pleased to have visitors and you are very welcome to come visit and tour and enjoy our collection of bicycles. We are offering you a little "temptation" in the photos below and hope it will encourage you to visit us.